I already did a post on Meghan & Ryan and their dog, Bailey, in regard to their wedding stationary. 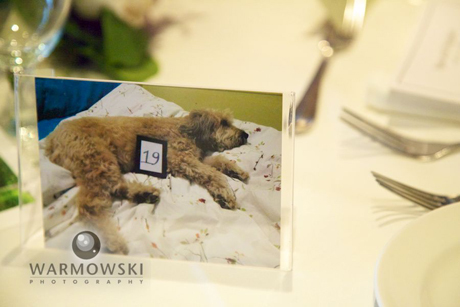 I wanted to show you another way they included Bailey in their wedding day. 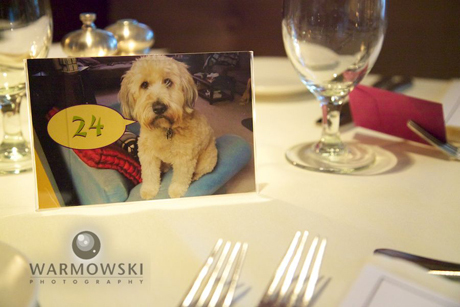 They used photos of Bailey as table numbers. And, Rob, the matron-of-honor’s husband, took the same photo of them that we did (with Bailey outside of their home) but he took the digital file immediately to a nearby drugstore and had copies printed for their parents, which were put in frames on the head table – where the bride and groom and their parents sat. It was a fun surprise for their parents when they sat down to eat! Posted by Tiffany. 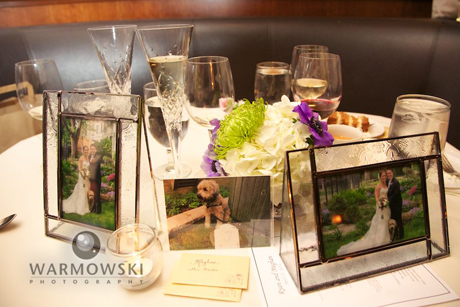 Warmowski Photography, husband-wife photojournalist team want to tell the story of your wedding day. Follow us on Facebook. 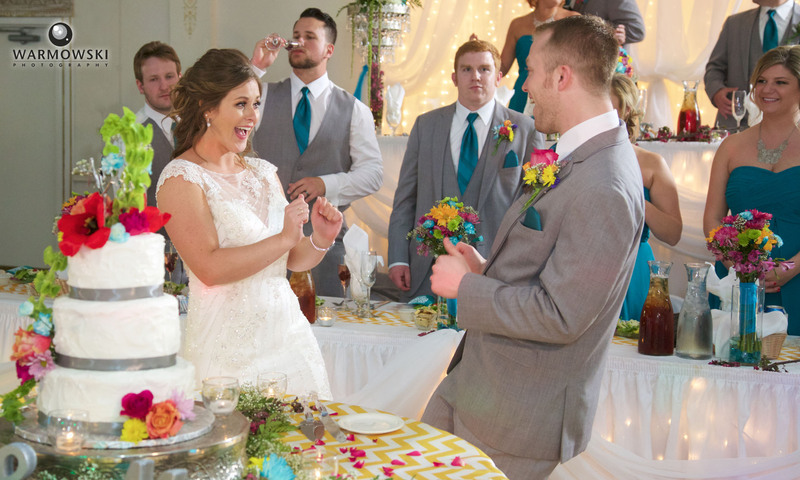 Member of Springfield Local Favorites, a group of the top wedding vendors in Central Illinois (on Facebook). St. Ita Catholic Church, Chicago/The Park Grill, Millennium Park, Chicago, were Meghan & Ryan’s wedding venues.